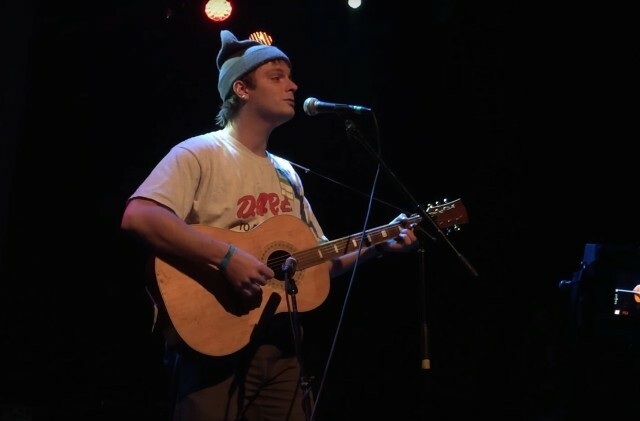 Last night at Brooklyn’s Music Hall Of Williamsburg, genial indie rock everyschlub Mac DeMarco headlined a Planned Parenthood benefit that also included people like Kevin Morby and Mutual Benefit. DeMarco played solo-acoustic and added to his growing repertoire of silly covers of old pop standards. This time out, he gave the sly DeMarco treatment to Billy Joel’s “Just The Way You Are.” He also covered the Four Seasons’ “December 1963 (Oh, What A Night),” a song he’s covered in the past. Watch fan-made videos of both covers below. That crowd sure likes to whoop!